Lavin Landscape & Grounds maintenance specialise in grass cutting services & also ground maintenance for apartment complexes, private developments and commercial premises. We work for management companies, residents’ associations, schools, retail parks, and rental properties. We also serve convents, nursing homes and colleges. We serve both private and commercial customers across Dublin. Our company has years of experience and specialise in private gardens, commercial landscapes, ground maintenance and also hard landscaping. 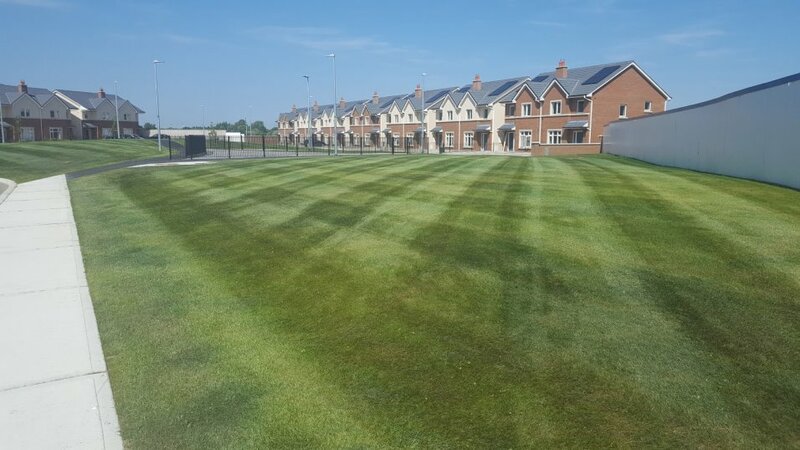 Lavin Landscape Services will provide a professional, reliable and cost-effective contract grounds maintenance service for businesses, resident associations and local authorities in Dublin. With over 20 years in the landscape industry, we have vast experience in all aspects of commercial grounds maintenance and garden care. We are fully equipped with modern commercial machinery and equipment to carry out the job required. Our staff are hard-working, courteous and we are carry full public and liability insurance. We take great care in all of our sites and can tailor any of our services to suit individual requirements and budgets.